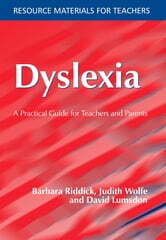 This book focuses on realistic strategies for non-specialists to use when working with pupils who have dyslexia. 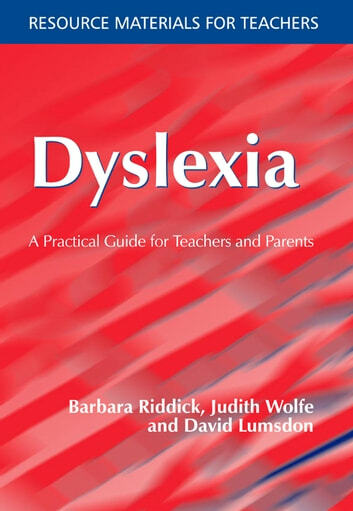 It offers detailed, practical guidance on defining and identifying dyslexia, dyslexia in the early and middle years and at secondary school, and worked examples of IEPs. It also discusses providing effective support for the literacy and numeracy hours, raising self-esteem, and working with parents and voluntary organizations. In addition, the authors cover using checklists and assessments, choosing suitable programs and resources, and useful addresses and books. Teachers and teaching assistants in mainstream classrooms and parents wanting to help their children will find this book invaluable.